ከንቱ ዕልቂትና ውዳሴ ሲያስመዝግበን ይሆን ? Boghossian was born on July 22, 1937 in Addis Ababa, at the time the capital of the Italian colony Italian East Africa, one and half years after the Second Italo-Abyssinian War. His mother, Weizero Tsedale Wolde Tekle, was Ethiopian. His father, Kosrof Gorgorios Boghossian, was a colonel in the Kebur Zabagna (Imperial Bodyguard) and of Armenian descent. Kosrof’s father, Gregorios Boghassian, an Armenian trader, had established a friendship with Emperor Menelik II and worked as a traveling ambassador in Europe on behalf of the Emperor. Boghossian’s father was active in the resistance against the Italian occupation and was imprisoned for several years when Boghossian was a young child. His mother had set up a new life apart her children and although both he and his sister Aster (Esther) visited their mother frequently, they were raised in the home of their father’s brother Kathig Boghassian. Kathig, who was serving as the Assistant Minister of Agriculture, together with other uncles and aunts brought them up during their father’s imprisonment. He attended a traditional Kes Timhert Betoch kindergarten where he was taught the Ge’ez script. In primary and secondary school, he was taught by both Ethiopian and foreign tutors and become fluent in Amharic, English, Armenian and French. He studied art informally at the Teferi Mekonnen School. He also studied under Stanislas Chojnacki, a historian of Ethiopian art and watercolor painter. 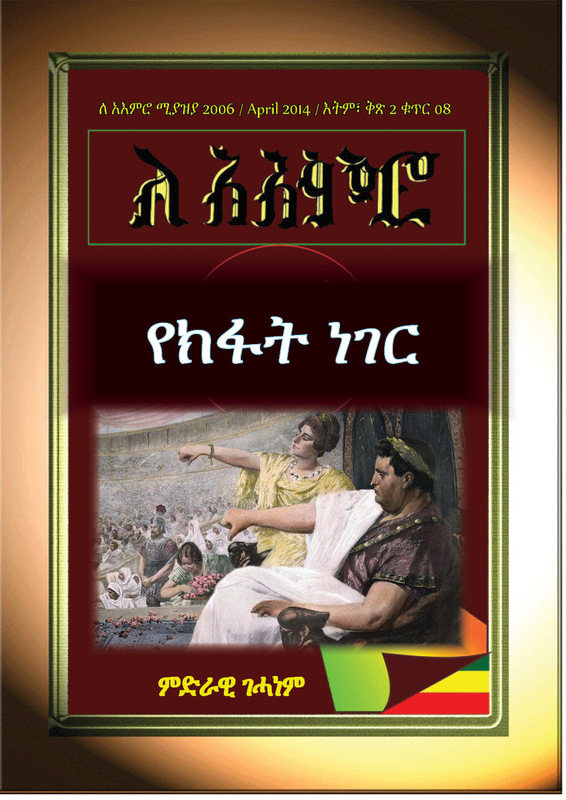 This entry was posted in ኪነ፥ጥበብ. Bookmark the permalink.